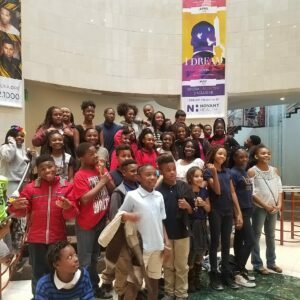 RESEARCH TRIANGLE PARK, NC – Digi-Bridge is thrilled to be one of several STEM education programs across North Carolina to receive Student STEM Enrichment grant awards from the Burroughs Wellcome Fund (BWF). 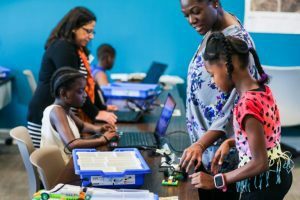 The Student STEM Enrichment Program (SSEP) will provide Digi-Bridge with $180,000 over three years to support educational opportunities that take place outside of traditional classroom time. The BWF Board of Directors approved $2.1 million in funding for 13 programs located throughout North Carolina. 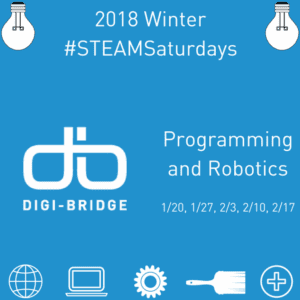 With these funds, Digi-Bridge can take its computer and robotics programming to more scholars. 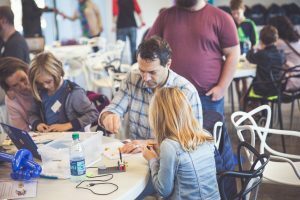 Since 2014, Digi-Bridge has been working with CMS schools to provide STEM programming to K-8 learners. This gift will solidify this district-wide partnership. “Digi-Bridge helps build futures for our students not just by equipping them with specific skills, but by harnessing their imaginations. Students are inspired to achieve in a digital world when we transform education from a passive experience for them to active participation through Digi-Bridge opportunities. 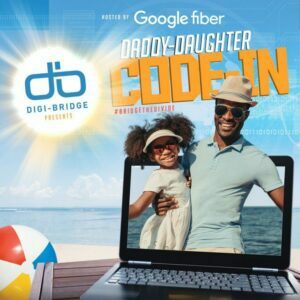 CMS is proud to partner with Digi-Bridge and is grateful to the partners who are investing in students through their commitments to Digi-Bridge,” said CMS Superintendent Dr. Clayton Wilcox. Since 1996, the Fund has provided funding to 240 organizations for a total of $36.2 million dollars in informal STEM education. As of 2017, SSEP has reached an estimated 38,000 N.C. students. 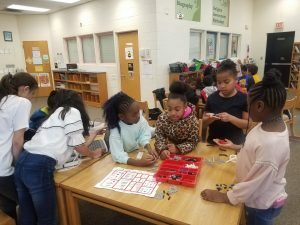 The Fund’s giving has spanned all 100 counties in North Carolina through out-of-school time, inquiry-based STEM programming. Selection of the programs is highly competitive. The Fund received 89 applications from non-profit organizations across the state in 2018. 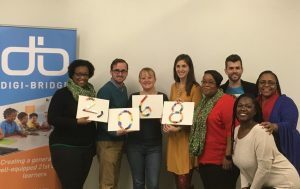 Based in Charlotte, N.C., Digi-Bridge aims to equip shareholders with the means to foster optimal use of technology in the learning environment, ensuring that all 21st century learners have opportunities to succeed in the digital age.